Unsweetened almond milk (Silk): Almond milk is a necessity in my opinion. Because I don’t eat dairy, almond milk is my favorite milk alternative. I like to buy the Silk brand because it doesn’t have carrageenan like the other brands (Almond Breeze) do. 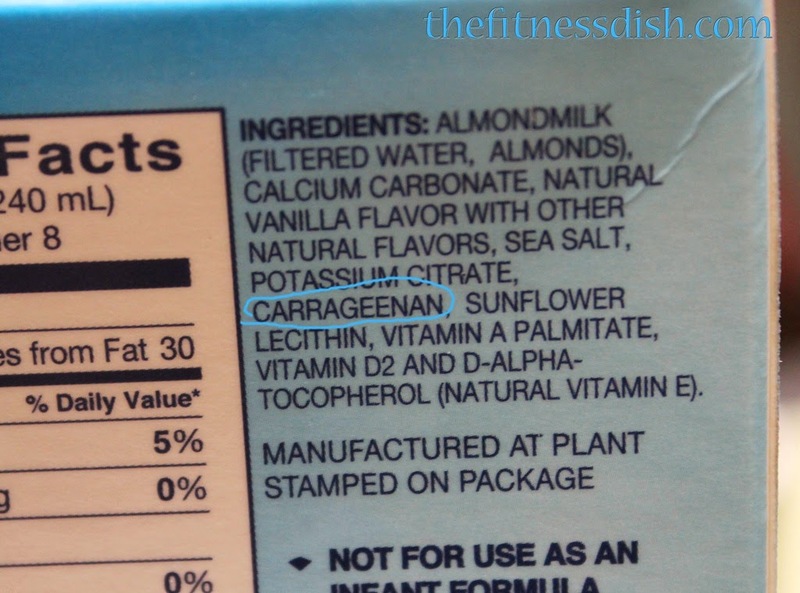 Carrageenan is a seaweed extract that can cause many digestive problems, so avoiding it is important. I use almond milk in almost everything; oatmeal, poured over frozen fruit, smoothies, and different desserts. 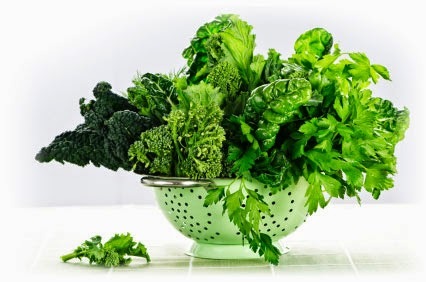 Leafy Greens: Greens are one of my favorite vegetables, and something I try to eat every day do keeping them in my fridge is a really great reminder for me to eat my daily greens! 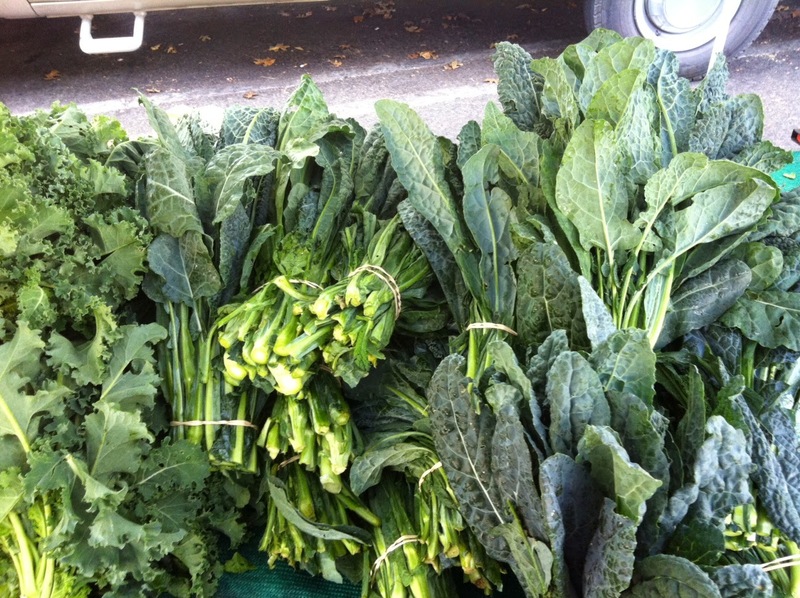 My favorites to have are spinach and kale because they go great with every dish, especially salads. 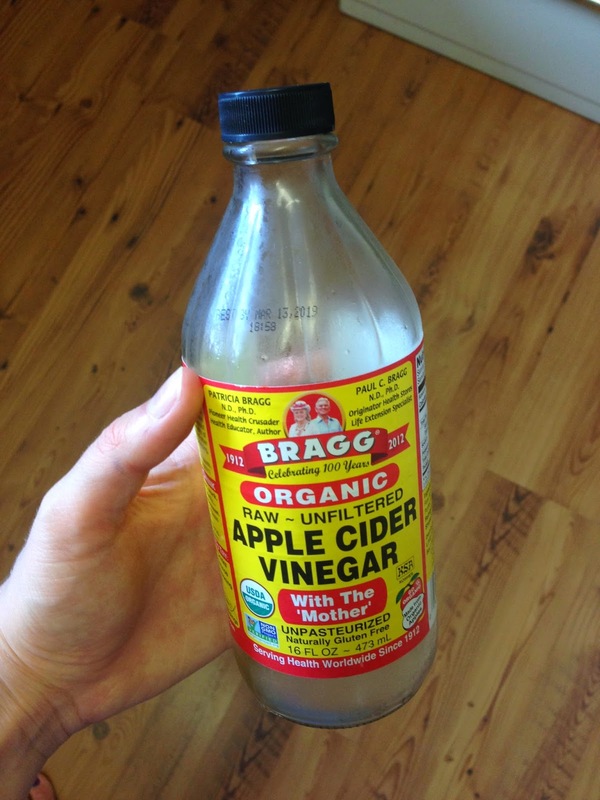 Raw Apple Cider Vinegar: ACV is the only non-acidic vinegar, which makes it a gentle vinegar on your digestive track. I love using raw ACV in everything, from salad dressing to drinking little sips of it every now and then. It’s an amazing health booster to add to your diet, and having some in my refrigerator always reminds me to use a little everyday. 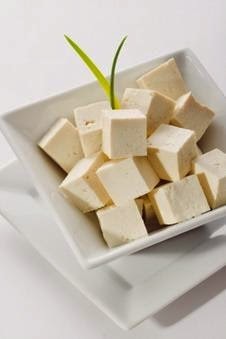 Tofu/Tempeh: Two of my favorite protein sources are organic tofu and tempeh. Both products are made from soybeans, and are good sources of plant based protein. 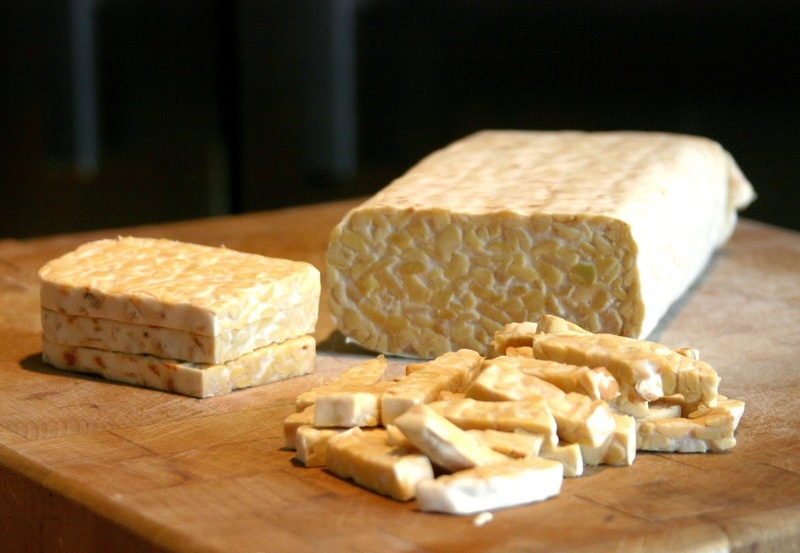 Tempeh is my favorite because it is not as processed as tofu and it’s fermented which makes digesting it a lot easier. 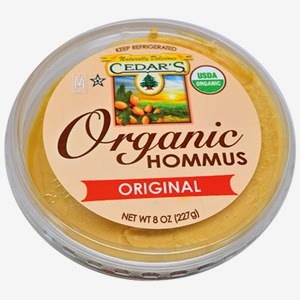 Hummus: Hummus is one of my favorite foods to have on hand because not only is a great source of fat, but it makes eating veggies even better. I wish I was cool enough to always make my own, but I usually just end up buying it which is fine, just make sure you’re always reading that ingredient list! My favorites are roasted garlic and roasted red pepper, yum! Raw Veggies: Just like leafy greens, veggies are another thing I make sure I eat daily. Having some sort of raw vegetable in the fridge always helps me to remember to eat them. Some that I always have on hand are carrots, celery and cucumbers. 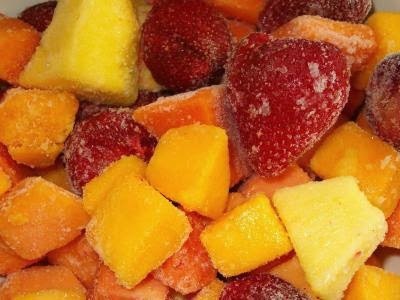 Frozen fruit: To me, frozen fruit is one of the best things you can have in your freezer. Often times people don’t buy fresh fruit because they’re scared it’s going to go bad, but if you buy it frozen then it’ll never go bad! Don’t be scared of frozen fruit, just make sure there isn’t any added sugar or preservatives (most frozen fruit doesn’t). 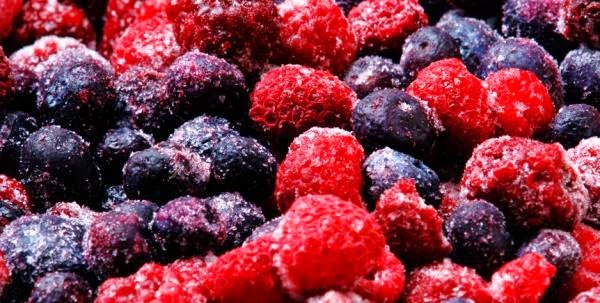 Often times frozen fruit has more nutrients than fresh fruit, because the fruit is picked and immediately frozen (which is preserving nutrients) unlike “fresh” fruit that is often times picked and then shipped thousands of miles to then sit on the grocery store shelve, allowing the amount of nutrients to decrease. 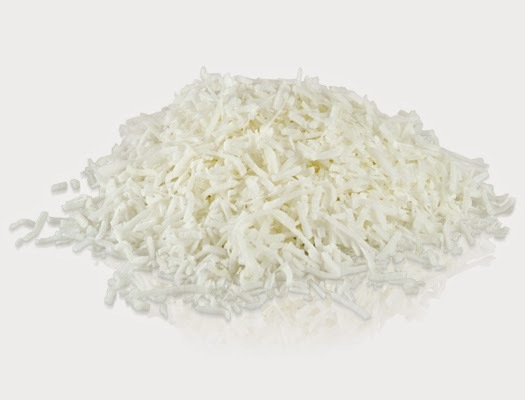 Unsweetened Shredded Coconut: I recently became obsessed with coconut, and love putting it in everything. It’s such a good source of fat, and extremely delicious. I like to buy the unsweetened coconut shreds in bulk and just stick the bag in the freezer. I use it in oatmeal, over frozen fruit, in smoothies, and in many different desserts. It’s also great to just snack on every now and then. 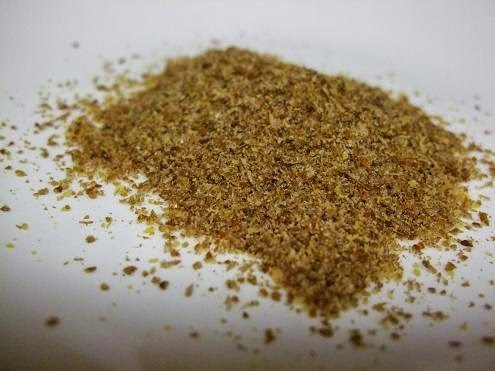 Flaxseeds: I honestly don’t know what I would do without my flaxseeds. They are inexpensive, packed with fiber, omega-3s and can be used in almost everything. Also, they last for a very long time in the freezer, so you never have to worry about them going bad. 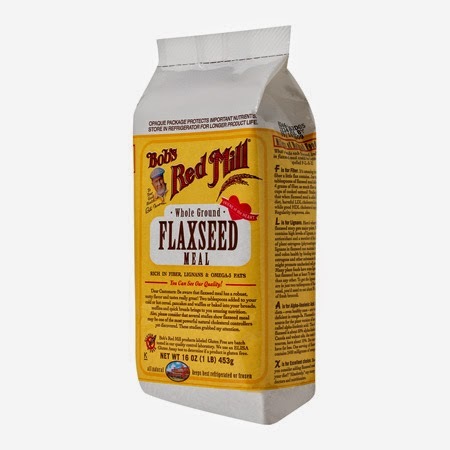 I buy the milled flaxseeds, and love throwing them in oatmeal, smoothies, and any baked goods I may be making. They don’t have a strong flavor, so they can really be used in anything! So instead of taking those stinky fish oil supplements, just throw some flaxseed in you morning cereal/oatmeal, or in a smoothie for some omega-3s! Frozen peas: This is another food that I just couldn’t live without. 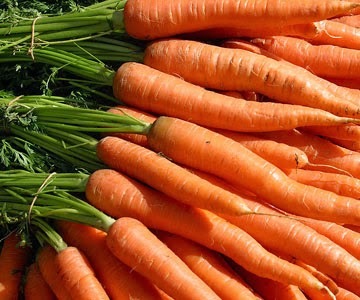 They are so delicious, and SO SO SO good for you! 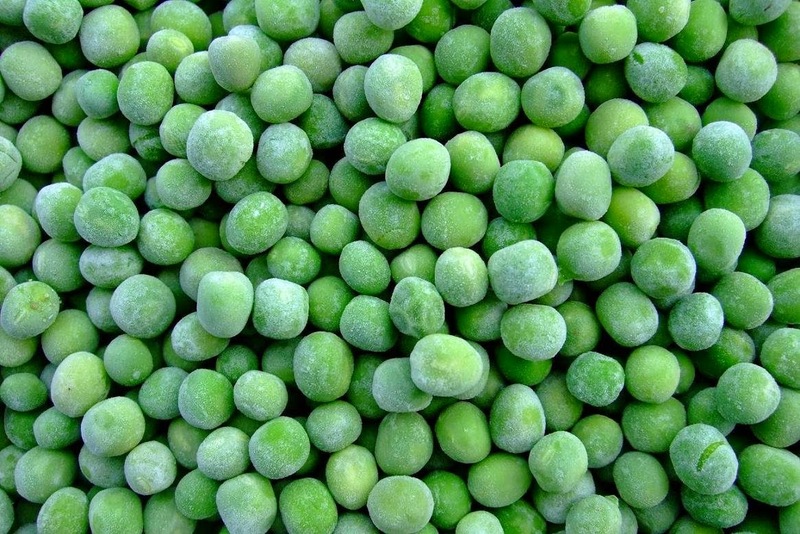 Frozen peas are pretty inexpensive, and they are a great source of iron and plant-based protein. Another reason why I love them is that they are very versatile; they can be steamed, roasted, thrown into salads, used as a base for a salad, and if you’re super weird like me you can just snack on them frozen, right out of the bag!